In May, EU citizens will choose their representatives to the European Parliament. The choice we make at the ballot box will have a substantial impact on how the EU works for the next five years. In the EU, the right to vote also means the right to make an informed decision. An informed decision means getting your facts right and not getting manipulated. You and you alone should decide who to vote for. While there are many actors who may have an interest in interfering in the elections, there is now a robust body of publicly available evidence that the Kremlin has attempted to interfere in numerous electoral processes around the world in recent years. 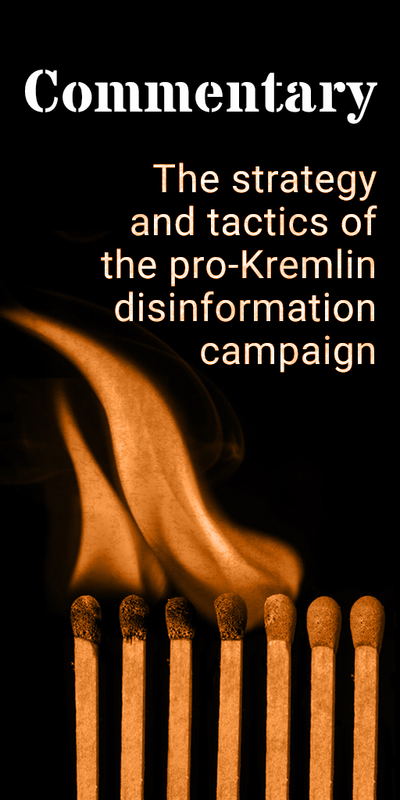 The Kremlin’s disinformation campaigns go beyond election periods. They are well organised and well funded, with a variety of methods and narratives that are tailored to particular audiences. 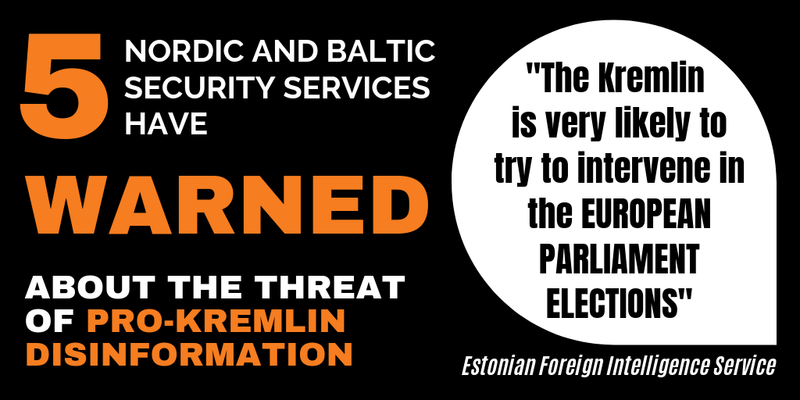 We are already witnessing a disinformation campaign surrounding the EU elections. These efforts may come from different domestic or external actors. Here, we are focusing on what we know about the Kremlin’s campaigns: So far, it is predominantly about making you believe that your voice doesn’t matter and that you shouldn’t bother voting. For example, because decisions are made by out-of-touch elites, under the American thumb, and you will never get the chance to have a real say. Or because the European Parliament never actually decides anything (doesn’t it? And how’s that EU-wide mobile roaming working out for you?). Other messages aim to convince you that in the EU hardly anything works properly, and that European elites are just trying to distract you from this by blaming Russia for everything, including election meddling. Apart from this disinformation campaign, election-related hacking linked to Russia has already been reported as well. For the Kremlin, these efforts are yet another attempt to meddle and disinform, following a pattern that we have already seen in other elections and referenda across Europe and beyond, with the Ukrainian presidential elections being the most recent example. It isn’t always easy to make an informed choice and resist manipulation in the chaotic and complex (dis)information space. This is where EUvsDisinfo comes in. 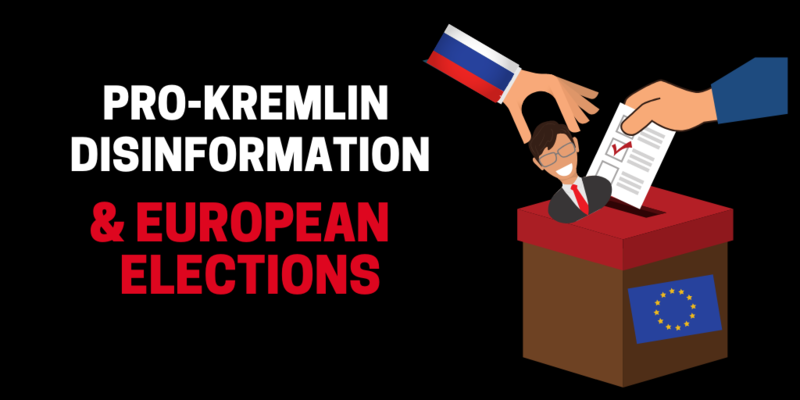 We have added a new section to our website that contains what you need to know about meddling ahead of the European elections. If you want to learn about the Kremlin’s meddling playbook – start with articles on the methods of electoral interference and common disinformation narratives. If you want to sink your teeth into evidence and specific examples – check out our stories about what happened in several previous elections in recent years. This evidence may make you feel overwhelmed – but do not despair, as there are ways to defend yourself against disinformation, which we compiled here. The resistance starts with you, but you are not alone. European institutions are ready to help – check the websites and tools offered by the European Commission and the European Parliament. Today we are kicking off our information campaign with an event in Tallinn, organised together with the European Commission. Over the next few weeks, the EUvsDisinfo team will be travelling to more than ten European states to raise awareness about pro-Kremlin disinformation and interference efforts. Our goal is to ensure that the decisions EU citizens make at the ballot box will be independent and theirs alone. Interested in meeting us in your country? Let us know.